C.C. Myers built three companies — not to mention a legacy — by being ahead of his time. At 16 he lied about his age to become an apprentice carpenter in Compton. He became a foreman by 19. After the “old goats” under him complained, Myers took the test to become a certified foreman at 20. That launched a six-decade career in construction, with a focus on infrastructure work. Myers, now 76, has built some of California’s most heavily used structures — and built a reputation for doing it quickly. "Their teamwork and flexability were key factors in the projects success. 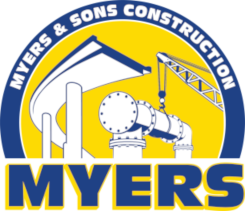 I can confidentialy recommend Myers and Sons Construction LP as a competent, reliable and sound contractor."